Please refer to the Local Rules and Forms. 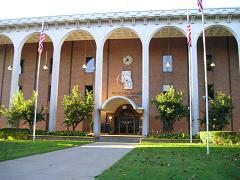 A copy of the Local Rules and Forms may be obtained from the Richland County Law Library or online at www.richlandcourtsoh.us. You may also refer to the Ohio Supreme Court website for forms at www.sc.ohio.gov. If you need legal advice, CONTACT AN ATTORNEY. No one in the Clerk's Office or the Court is permitted to give you legal advice. Once you have filed an action with the Clerk of Courts, all or a portion of your filing fee/court deposit will be applied to costs. Your failure to successfully complete the action, may or may not result in a partial refund of your filing fee/court deposit. In addition, filing an action with the Clerk of Courts may result in court costs which exceed the filing fee/court cost deposit. DO NOT FILE ANY ACTION EXPECTING A COURT COST REFUND.